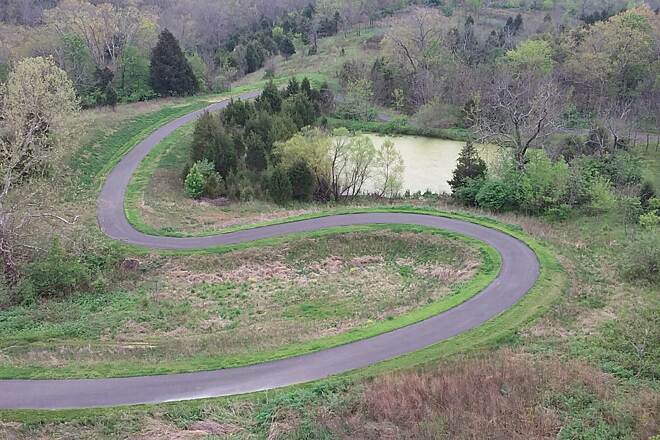 In the 1890s, pre-eminent landscape architect Frederick Law Olmsted Sr. envisioned large community parks connected to the neighborhoods of Louisville via “ribbons of green.” His tree-lined parkways still exist today and will serve as spokes to the 100-miles-plus Louisville Loop, once complete. 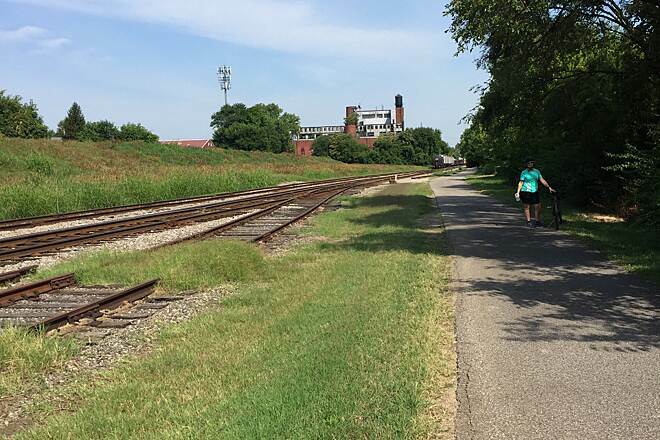 The planned Loop will take trail users through five parts of Jefferson County, giving them a taste of each section’s unique heritage and character. All five segments have been planned out, with 48 miles completed and various sections in design or construction. 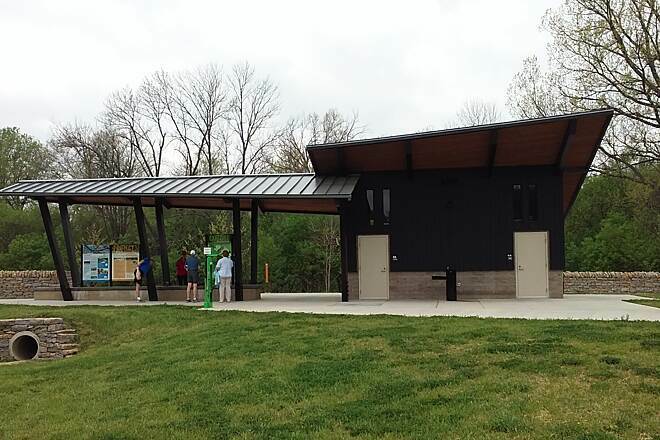 The Louisville Metro Parks and Recreation Department designed each of the Loop’s five sections—Ohio River Valley, the Knobs, Shale Lowlands, Limestone Belt and Floyds Fork—to display their distinct charms, while a cohesive wayfinding and interpretive signage system funded by the Centers for Disease Control and Prevention in 2010 ensures visual consistency throughout the network. 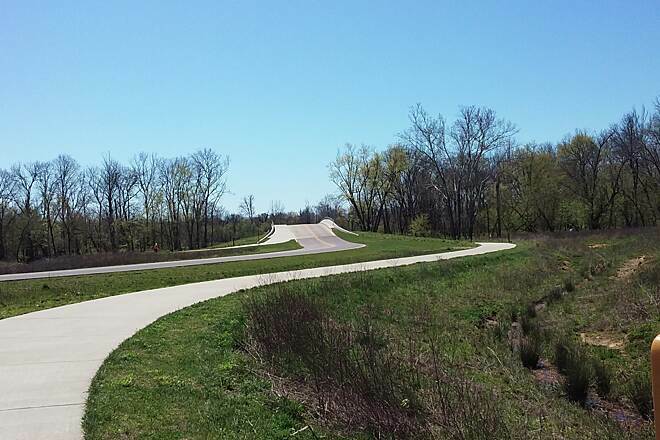 Mile 0 kicks off the Loop’s largest continuous section: the 25-mile Ohio River Valley segment. 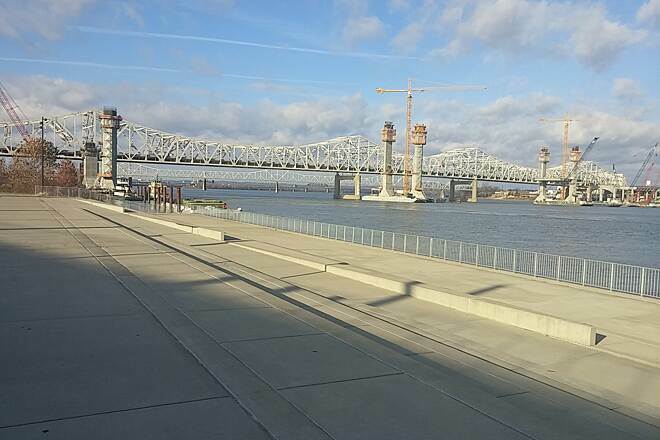 Heading west from the Big Four Bridge, visitors can soak up all that the downtown Louisville Riverwalk has to offer, from public art installations at Waterfront Park to the Louisville Slugger Museum & Factory, and Olmsted’s Shawnee and Chickasaw Parks. 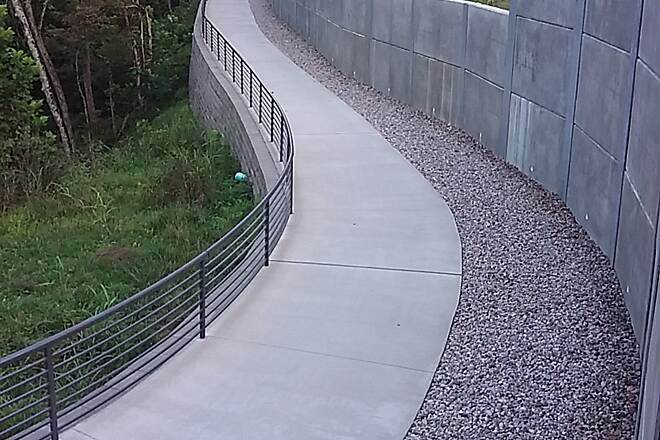 The off-road Levee Trail picks up from the Riverwalk, providing users with a diverse mix of vistas. 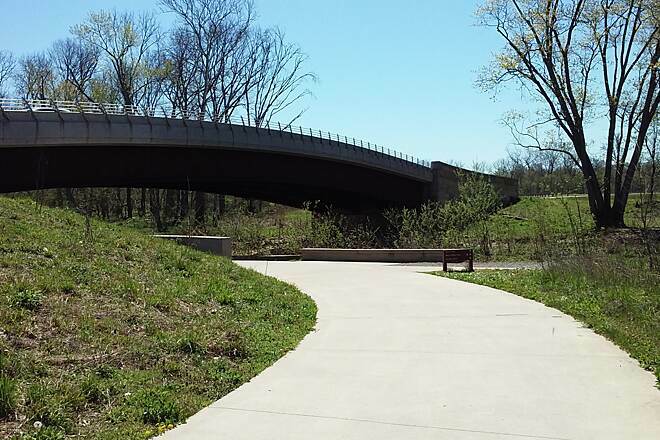 The Beargrass Creek Greenway in this section also connects two popular recreational assets: Waterfront Park and Cherokee Park. 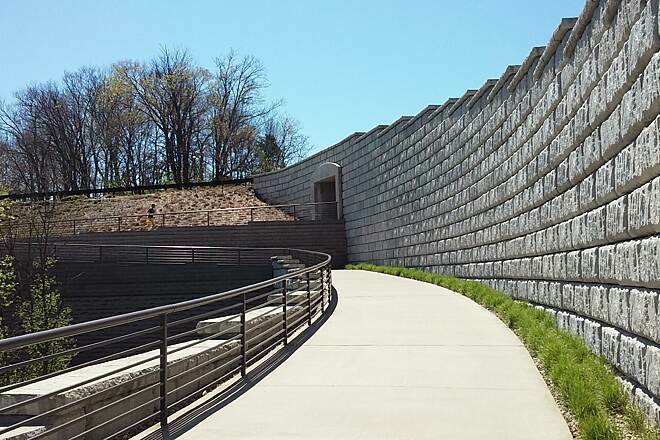 Heading east from the river, the Knobs and Shale Lowlands will no doubt become a haven for adventurous hikers, geologists and nature enthusiasts. 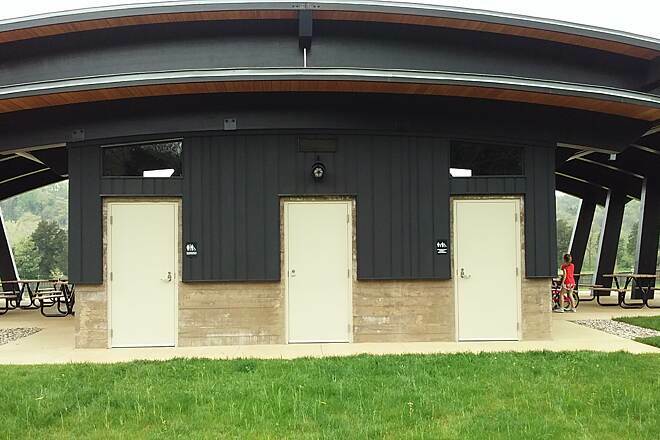 These segments will traverse one of the county’s most geographically diverse regions, featuring farmland, ancient lake beds and the 6,600-acre Jefferson Memorial Forest. 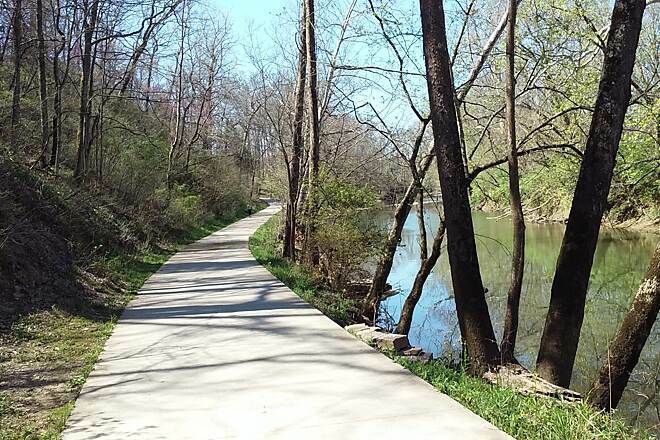 The Parklands of Floyds Fork segment—a 19-mile, off-road portion of the Loop—encompasses four parks. 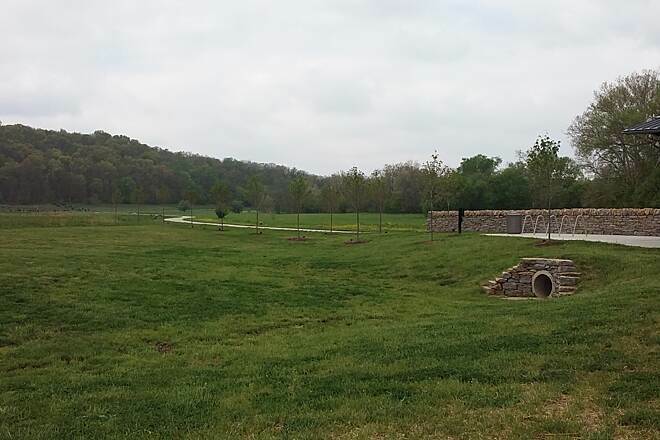 From Broad Run Park in the south (near mile 55 of the Loop’s planned 111 miles) all the way up to Beckley Creek Park (mile 74), the Parklands segment provides adventurers with everything from canoeing and kayaking along Floyds Fork to mountain biking at Turkey Run Park’s Silo Center Bike Park. 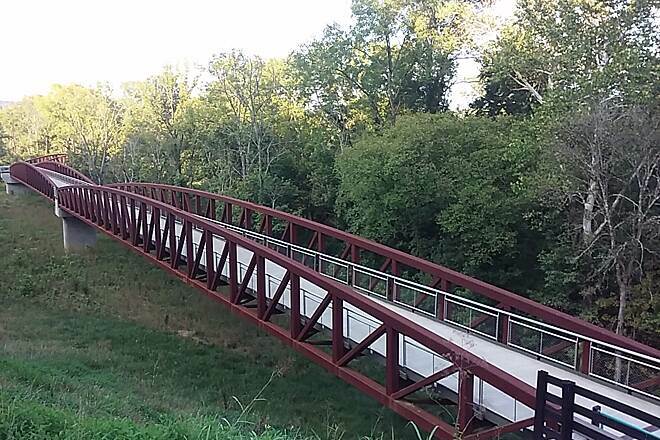 At Trestle Point in Pope Lick Park, historians and rail enthusiasts will appreciate that the Loop passes directly under a late 1880s train trestle. At the Strand, nature lovers can observe wildlife at Catfish Bend, while archaeology buffs can search for fossils deposited on the gravel bars of Mussel Bend. 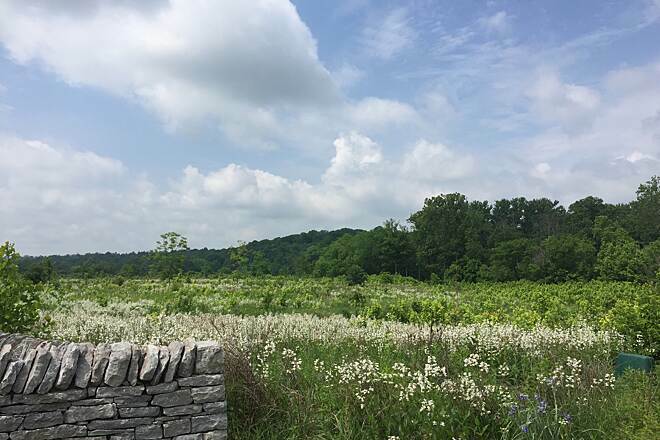 Completing the Loop will be the suburban Limestone Belt section, which will pick up from the northern tip of the Parklands and loop west to the city of Prospect and the Ohio River Valley Northeast. 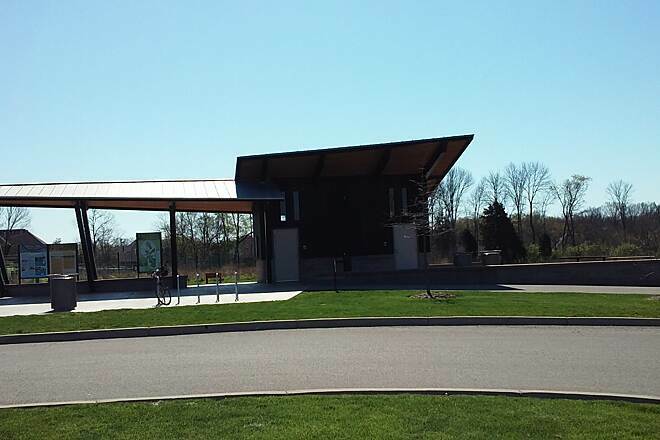 In the Ohio River Valley segment, parking is available in many of the parks along the route, including (from north to south): Caperton Swamp, Carrie Gaulbert Cox, Eva Bandman, Waterfront, Lannan, Shawnee, Chickasaw, Riverside Gardens and Riverview. 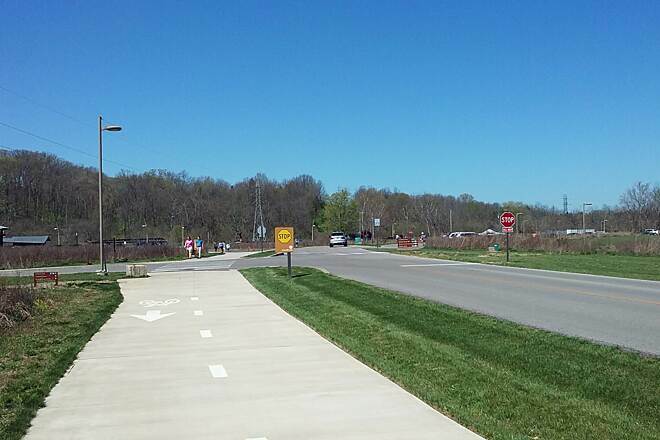 Great easy riding trail with wonderful food at Mike Linings of Louisville on one end and Pearls Yogurt of Jeffersontown IN on the other. Lots of interesting sights to see in between. Got in 44 miles in one day which is good for us. The trail was clean and clear the day I took it. The views are nice and stopped at the riverboats to talk with some other bikers. I ended up going just short of Shawnee park as the trail had a detour. What a mess in the western half of the trail! 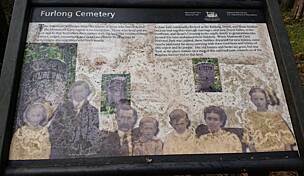 Not too long ago, I hiked the Riverwalk from east of the Big Four bridge to Shawnee Park. The Riverwalk was pretty and seemingly well-kept east of about 31st Street. But from west of there, the path became terribly overgrown with tall weeds and was covered along most of the path with inches of mud and many logs and other driftwood. Sadly, the artistic and attractive bricks which spelled out history were mostly covered by debris. Even the caged-in area along the back nine at Shawnee Golf Course was in terrible shape and closed off. There was a very short section of pavement from Market Street to Broadway that was in pretty clean shape where the Riverwalk ended at its western terminus. It is too bad the city of Louisville, which touts itself as the 16th largest city in the US (certainly laughable statistics) will not keep the Riverwalk, which could be a real city treasure, clean and secure. I understand that occasional flooding will bring some mud and driftwood. But apparently this large section (miles) of the Riverwalk has been closed to bicycles and in progressive disrepair since 2011. I would expect much more from a city which aspires to be great and loves to tout its accomplishments. Louisville certainly has a LONG WAY to go to equal river cities like Cincinnati, St. Louis, and Memphis. In the meantime, bicyclists are unable to enjoy the western half of Louisville's Riverwalk, which I consider to have been its most enchanting section in former years. Repairs and Security Upgrades Needed! 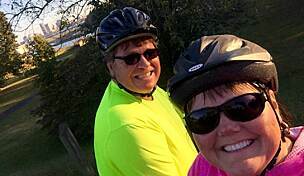 My girlfriend and I began our ride just to the eastern side of the Big Four Bridge with the goal of riding along the Riverwalk to Shawnee Park (about 8 miles) and back. The short ride to Waterfront Park seemed to be well-maintained (but not very clearly marked for the bikers). It all went downhill from there. After reading the reviews from a couple of years ago, most of the same problems persist. As we left the downtown area, the pavement became uneven and dangerously narrow, and we passed a few homeless tent camps and intoxicated people alongside the trail. The trail was mowed but the tall weeds, brush, and trees left us feeling quite unsafe even at noon! We pressed on to the portion of the trail that had been closed due to flooding/erosion back in 2011/2012. 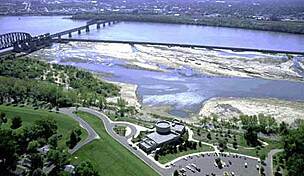 In July of 2014, the people of Louisville are STILL waiting for the necessary repairs. Instead, we took the detour on the highway, which was STILL poorly marked (as mentioned by another reviewer). 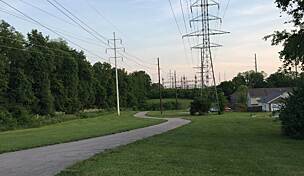 I would not recommend this trail to a small group or family until the city of Louisville ramps up its bike patrols of the area and makes much needed repairs and upgrades to the trail. 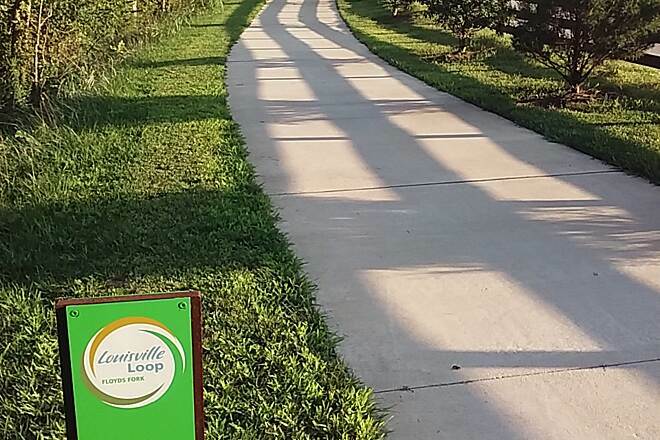 As a local resident, I felt ashamed that a trail with such potential for bringing in tourism and local dollars to the more impoverished areas of Louisville had been forlorn over just a few years. To top the trip off, we rode into downtown for lunch and were panhandled no fewer than three times on 4th St.
We ride this trail, sometimes, but not on a regular basis anymore. We started out on River Road way up east and ride through downtown Louisville and up to Shawnee Park. Going through with train cars, trash everywhere, beer bottles galore, along with liquor bottles, there were plenty. We get pass that and into a scary area where pit bulls are the norm. Seems everyone in this area, Portland and along the way, everyone has a pit bull. Seems that way anyway. Some would jump at us, even though they were contained, they are scary. It is not an area you want to get caught with no protection. The area is poor and the people are, well, the area is not good to ride through. Not sure what can be done, but it should be maintained by security. That would help. On 11/25/12 my daughter and I took our tandem out for a spin to break up the long drive home from Thanksgiving. 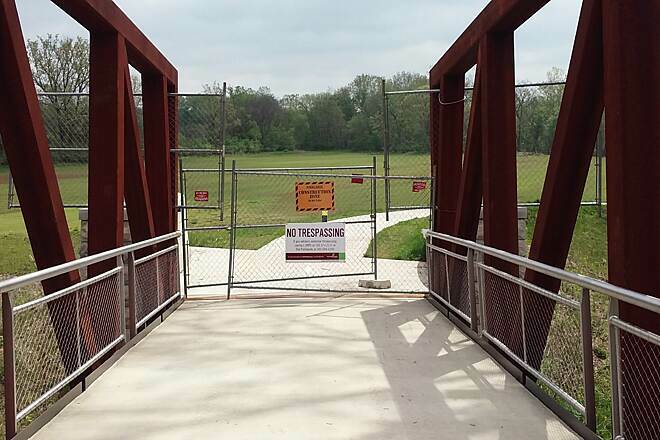 We started from the Shawnee Park end, heading in toward downtown, and found that a large section of the trail through the park was closed due to the flooding damage (much) earlier in the year. We diverted onto the golf course paths (not many golfers that time of the year!) and accessed the trail again further upstream. A mountain bike could probably handle the trail in this closed section, but with a tandem it was a no-go, even with wide tires. The asphalt trail was covered by several inches of river silt, and even deeper in spots (in addition to the logs, leaves, and litter one would expect). 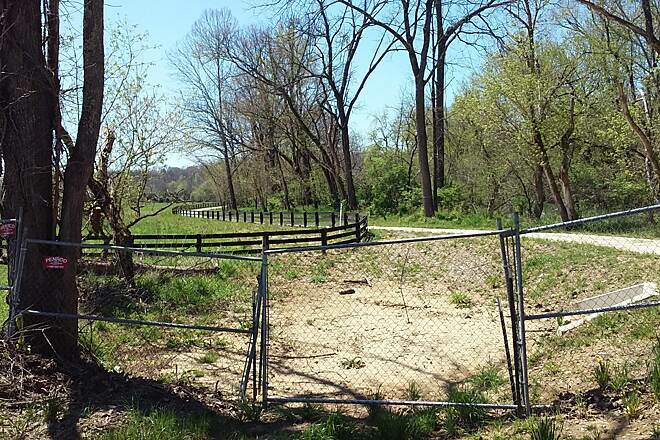 Alas, the good folk of Louisville have a lot of work to do to bring this trail back to life. The posted detour is apparently onto city streets, and was difficult to determine or follow (why we wound up on the golf course). Hopefully someone will post an updated review when the path is reopened, as I think it would make a nice stop. 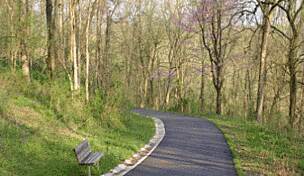 On March 30, 2012 my wife and I road our bikes from Lannan Park to Eva Bandam Park and are pleased to say that the trail was free of debris. Based on previous reviews good clean up job Louisville! This ride has its beauty and its lesser moments. 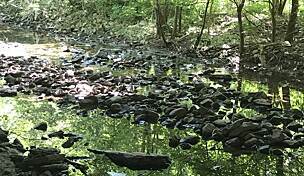 The river is always an eye catcher, and especially at certain times of the day, but there are places on this trail that one might not want to have a flat tire or be a stranded target. When we went over this trail, we encountered a lot of glass (beer bottle type glass), and we were very glad we had purchased a very high grade of tire that was less susceptible to puncture than regular tires. In the past we have ridden some high end bikes along this trail before it was finished, and racing tires are not a good idea along this trail. Even with the greatest care and slowest of speeds, it is hard to keep from getting something bad punturing your tire. We carry little brooms and try to contribute to the safe pathway that we all desire, but it really does seem to be a losing battle. That said, and knowing the city budget is what it is, we should pitch in order to keep all of our inner city trails passable and less hazardous. 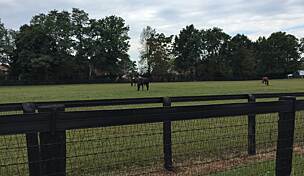 Our most wonderful ride was in Bethpage Park on Long Island. Don't know how they keep this thing so beautiful and well lit and swept, but it was a real wonderful experience we ought to try and mimic NYC here in Louisville. We believe in giving everything a second chance so tried this trail again. 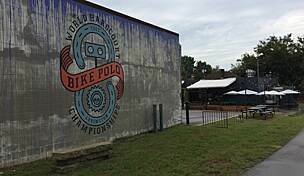 Started at the riverfront near Joe's Crab Shack and rode west. Much of the graffiti we had seen in the spring had been cleaned up. Less trash along path but could be better. Please, Louisvillians, stop throwing your garbage down where ever you happen to be, this makes our city look terrible. The tent camp of homeless people had moved elsewhere. Vegetation had grown up alot and covered up some of the areas of abandoned and run down buildings. In all, some improvement was noted. I believe our mayor gets this cleaned up right about the time of the Kentucky Derby. The trail itself was in mostly acceptable condition with only a few areas of pavement fractures and holes. The views of the river and the bridges was very nice. Also there are a few areas of tree canopy providing some shady relief from the sun. We did this trail on a quiet Saturday morning. The surrounding area was full of trash, debris, graffiti etc. One person had sprayed "ugly" on the concrete posts under the interstate overpass. This area was often dark, and went by many abandoned and run down buildings. I kept thinking we had to be in the wrong place but was assured by other riders that this was the right place. The whole area had a very unpleasant smell as well as garbage and trash everywhere. We turned around after about 3 miles when we came upon tents and a "camp" of homeless people. 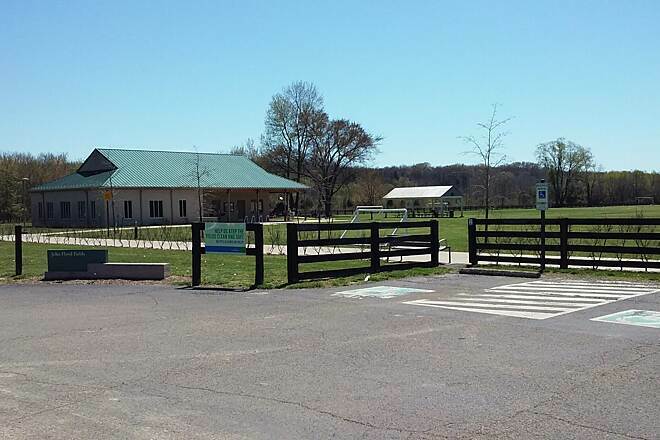 We rode in the other direction from Joe's Crab Shack and to the east around the park, river, and ballfield area. This area was much cleaner and out in the open. While there is no defined trail, there is plenty of room to ride here. A beautiful ride through the tree canopy. For a extravagant time follow up with dinner in old Louisville. 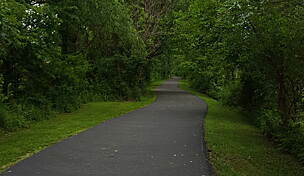 "This is a wonderful trail along the river. As an out-of-towner, I found no signage pointing to the trail, but it’s easy to follow once you find it. 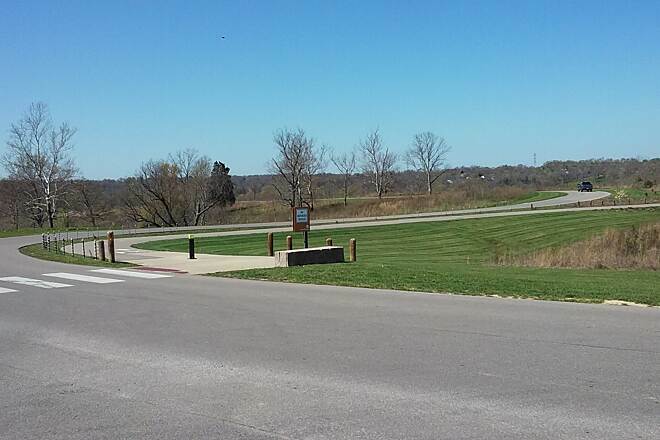 To get to Shawnee or Chickasaw Parks, take exit 3 off I-264, and head west on Hale Avenue. I started at Shawnee Park. 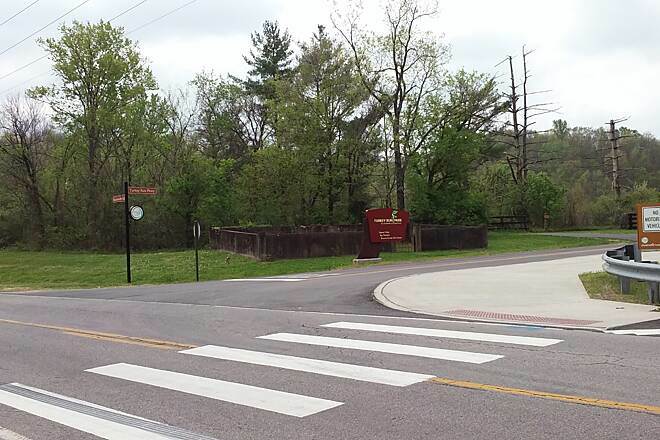 Signage on the trail shows the trail starts further south in Chickasaw Park. 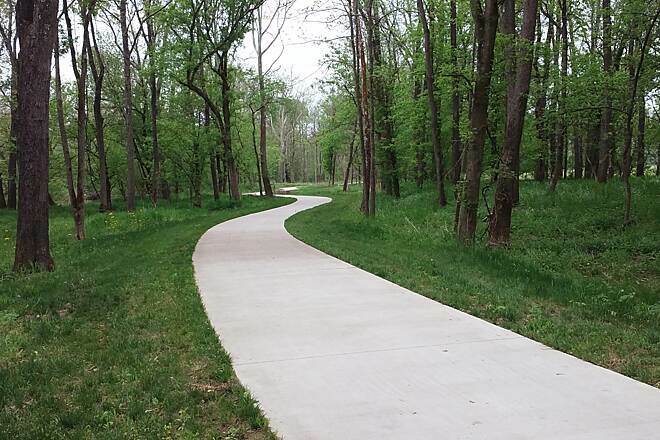 Find any paved trail in one of the parks heading toward the river, and you’ll (probably) easily find the trail. I found it very, very lightly used, except within a mile or so of the city center. From the Crab Shack east to Litterle Rd it’s a collection of sidewalks and paths without markings. Check out the “Flock of Finns”, 32 colorful sculptures of birds, in the park southwest of the Crab Shack." 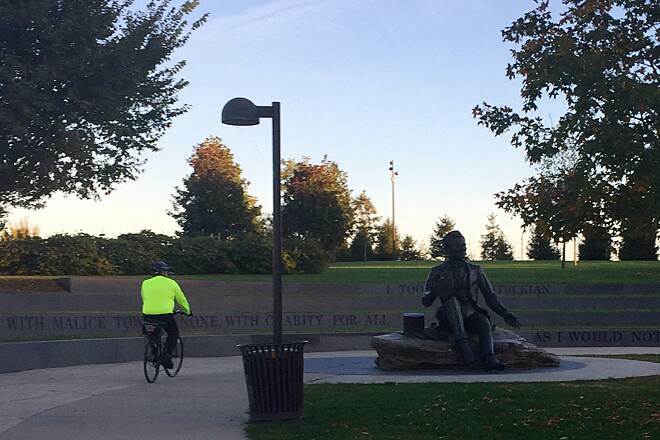 Nice ride along the Ohio River and Park. 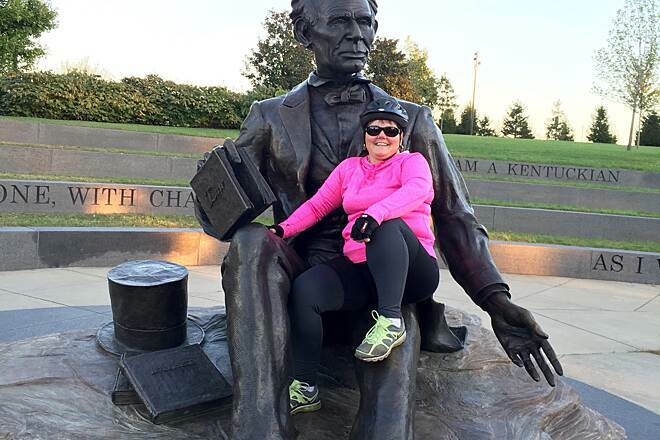 "We stayed at the Gault House in downtown Louisville on our way south in order to skate the riverwalk trail. We should have brought our bikes. We have thousands of miles on our skates and found this trail to be difficult. The trail is narrow with railroad crossings, ramps, rocks, long stretches of slippery mud, speed bumps, hills and rough pavement. We only found about one half mile stretch where we could get going on our skates watching carefully for rocks from parallel railroad tracks. It was wonderful to be on the trail early on Sunday with the river boats following along close to the shore. Inline skating should be removed from the trail description. Unload your bikes for an interesting ride." 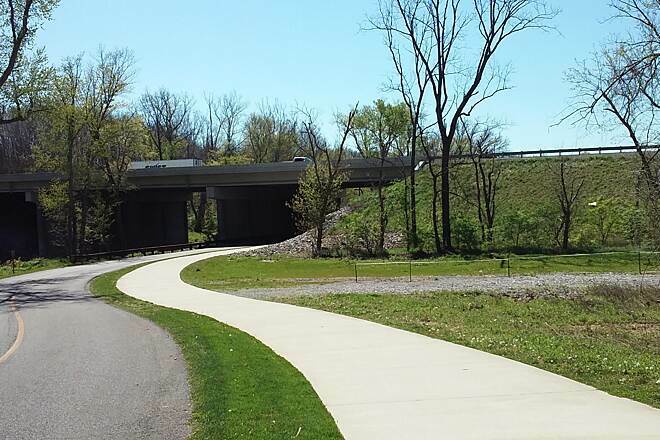 "We started in Shawnee park, with no directions to get there, and biked almost 11 miles until we dead ended at Letterle Ave. Floodwall/Butchertown Greenway. 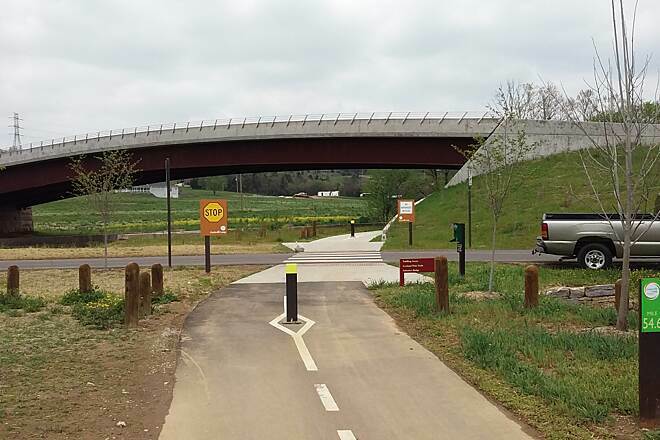 When you reach the crab shack, go uphill about 50 yds and get on walkway/sidewalk/kids parkway and go down river road about 3 miles then into a park area to trail under the highway. 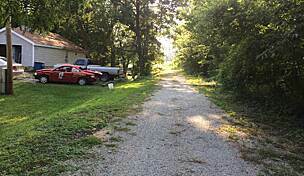 Paved all the way." 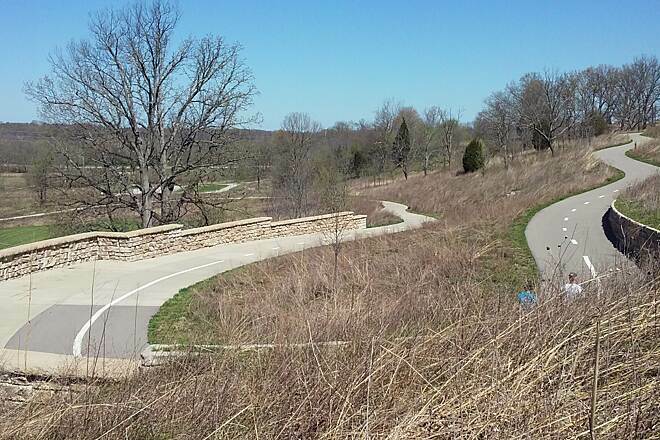 "This trail, however nice, does not run all the way to Chickasaw Park. It ends in Shawnee Park. 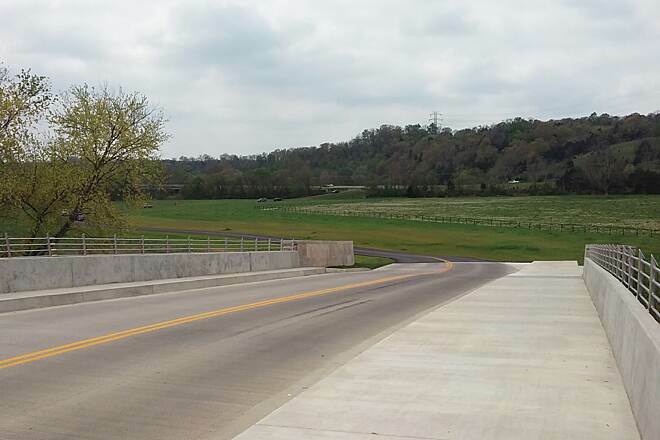 The last section, which is approximately 0.6 miles, has yet to be opened. 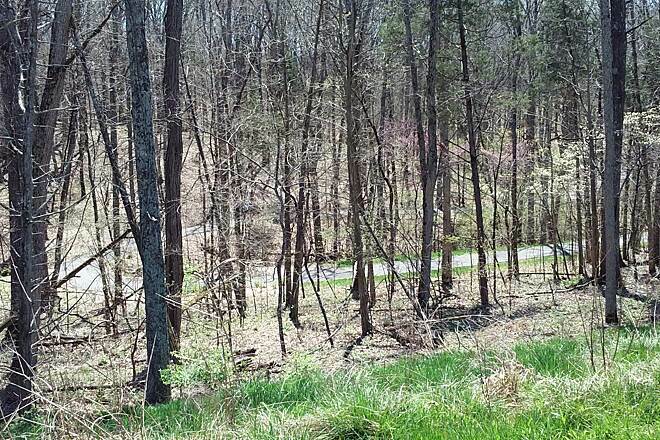 I ran the first last 3.2 miles of this trail and found it to be a good run. " 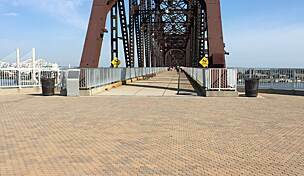 "The Louisville Riverwalk is an interesting, scenic path. 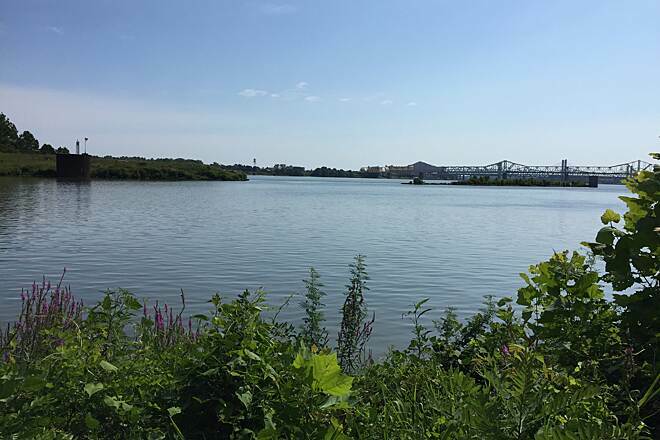 It starts downtown at the Ohio River and then heads west along the river through the Portland, Shawnee and Chickasaw neighborhoods and parks. Parts of trail will flood if the river is high." There is some beautiful scenery along the trail. We rode to the park and back -- a 14 mile ride that was fun for whole family. 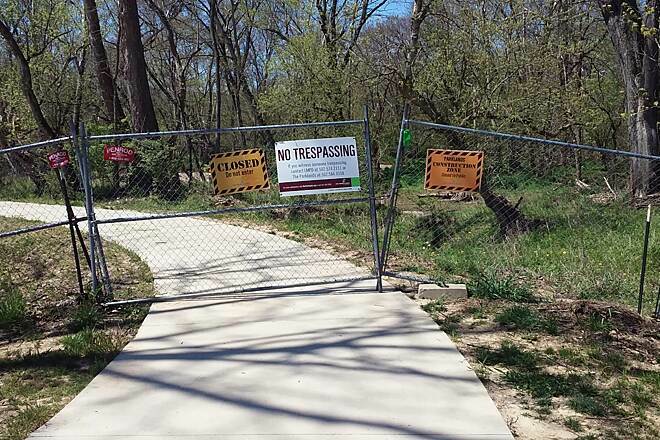 We'll be glad when the trail is done the other way too. 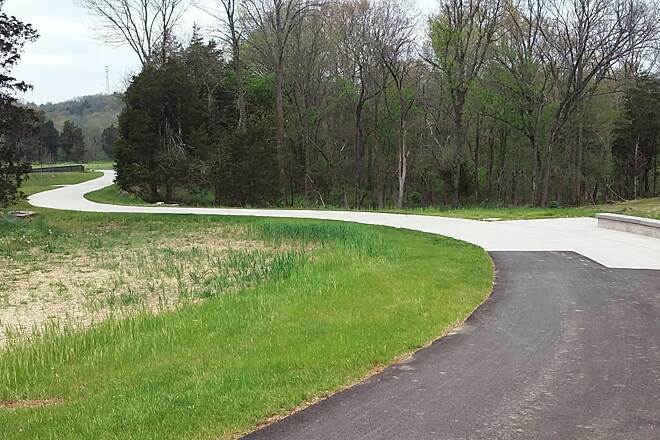 "The trail is fairly lightly used, in my experience, but weekends bring out a lot of walkers and bikers. The Ohio River is usually fairly busy, with barge and recreational traffic. The trail passes along the side of the Portland Canal, which takes river traffic away from the Ohio River falls. 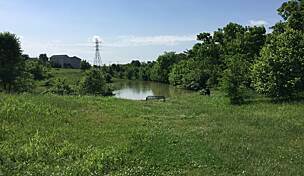 The trail goes along the edge of the river in several places, and Shawnee and Chickasaw Parks provide additional recreational activities. 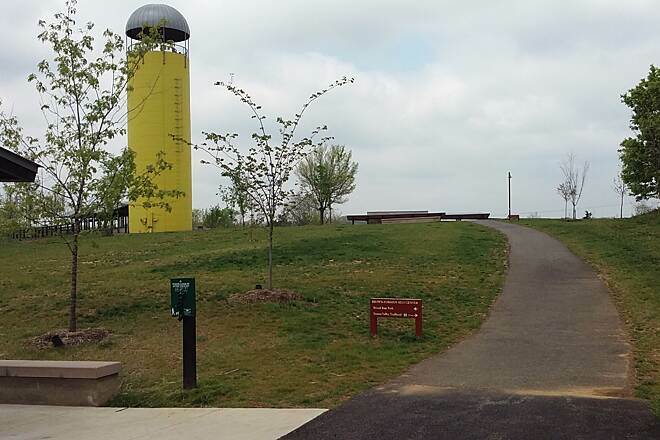 The eastern end of the trail is in downtown Louisville, and one can ride from there to Cherokee Park, about 3 miles away."